“Him all wait for, him all yield up to, his word is decisive and final, him they accept, in him lave, in him perceive themselves as amid light, Him they immerse and he immerses them. Walt Whitman, Allen Ginsberg and Jack Kerouac inspired her life as a teenager. Helen was a few years older than the average punk during the 1980s punk scene. 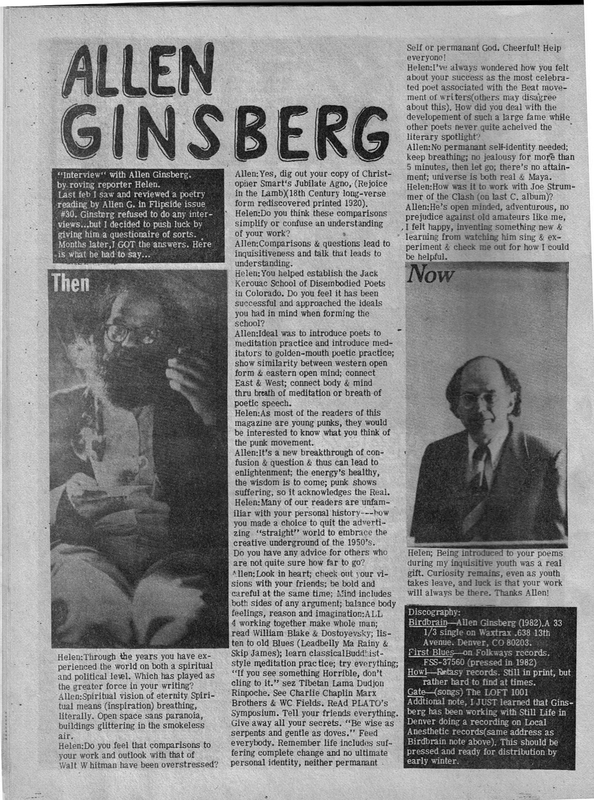 When she asked us to include this interview with Allen Ginsberg we teased her. It is a good thing she persisted. Helen weaved together important elements in her short interview with Allen Ginsberg with what was happening at that time in punk rock history. It is an excellent read. One can study the history and literary accomplishments of Whitman, Ginsberg, and Kerouac but it is the link, the alignment, the spiritual rebellious thread that pulls me always! 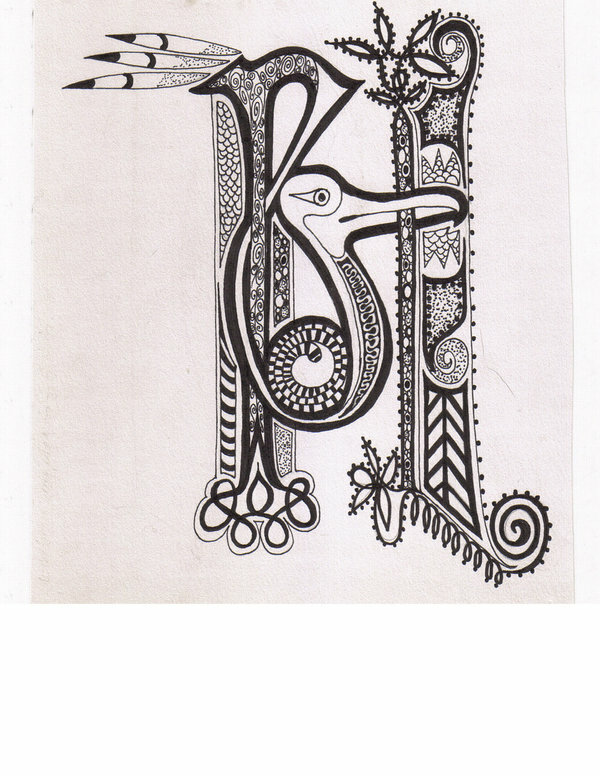 This entry was posted in PUNK NO-stalgia :Punk Rock, the Esoteric heart beat... and tagged Allen Ginsberg, Alternative music, Beat Generation, entertainment, Fanzines, Flipside Fanzine, Helen Jewel, Hudley Flipside, Jack Kerouac, Leadbelly Ma Rainy, Old School Punk Rock, Oral Tradition, poems, postaday, PUNK NO-stalgia :Punk Rock, punk rock music, romanza, Skip James, Subculture, the written word, Underground, Walt Whitman, Women. Bookmark the permalink.